Starry Stocking comes in two other colourways – Midnight and Light Blue. Pretty in pink and perfect for those where nothing but pink will do! 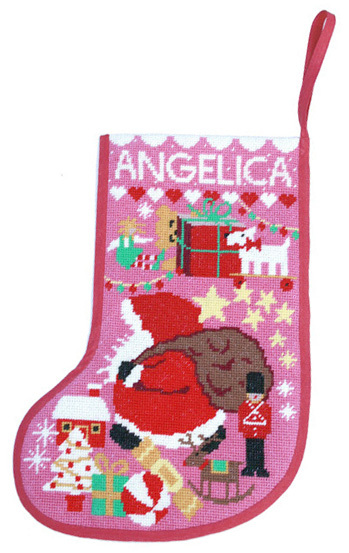 This stocking is packed full of presents and Christmas Fun; Santa is bustling about leaving a trail of stars behind him.